Displayed here with our 1013 Saucer Base Candlestick, sold separately. Votives sold indivually. The daintiest of all our pegged votive holders, the Tulip Votive measures just 2 1/2 inches in height, not including the pegged base. The width of the top opening is 2 3/8 inches. 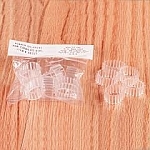 This clear glass votive holder has a pegged bottom which fits in a standard 7/8" candle socket. 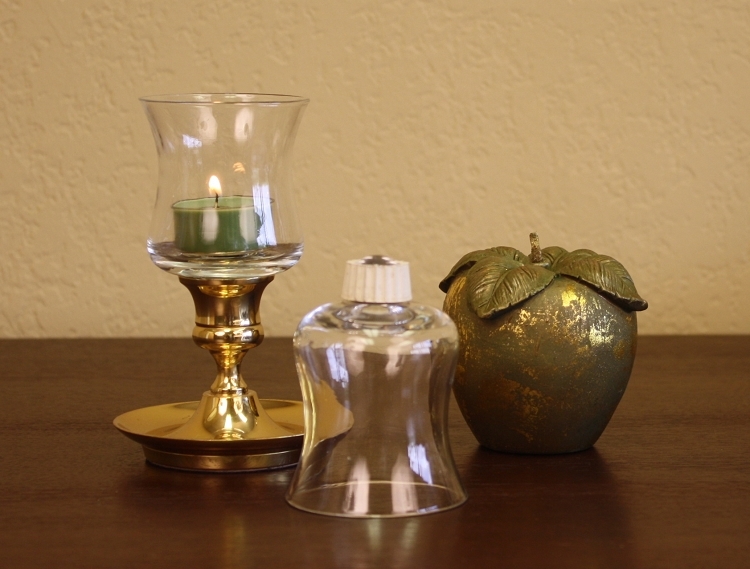 Converts a standard candle holder into a votive candle holder. I looked locally and couldn't find the replacement votive holder. I was amazed at the quick service and it is what I needed. The rubber grip was a little challenge to get it to fit in the but we figured out to put it in first, then place the holder in it. I was delighted to find these pegged tulip shaped votive holders as I looked for them in several stores locally and was unable to find any. My order arrived promptly and well-packed. The glass holders are just what I needed and good quality. As delicate as they are, they are slightly thicker glass than what I had before which I was glad for as they will be less fragile. Glad you carry these. I do like the votive holders but the rubber grips do not fit well in all of my candlesticks. I find them a little thick. Glad to find this site that carried these. They fit perfect. We can now light our candles in our candlabra and not have to worry about wax dripping all over the place. I was very pleased to be able to replace a tulip votive holder that was knocked over and broken recently. It''s not something you can find in the stores any more and I''ve long wanted to have more of them than those I already had. Now I do and I''m delighted I won''t have to dig out the wax as often from a burned down candle just because I want to change the color candle for an occasion. Delivery was prompt and packaging was extremely well done. Thank you. Q: What is the stem diameter with or without the gasket? A: The peg measures about 5.5/8 inch in diameter without the gripper, and about 7/8 inch in diameter with the gripper. This plain votive adapter is a simple yet elegant way to change your standard candle holders into holders for votive candles.